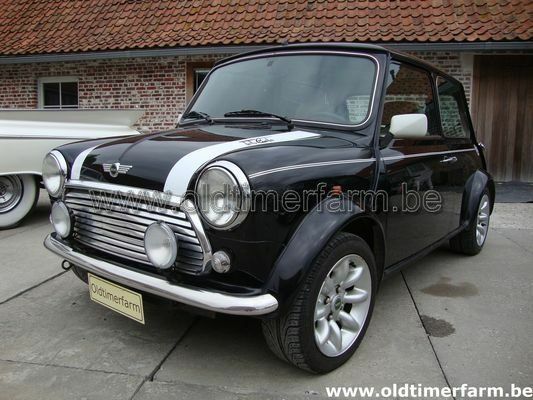 (from Wikipedia, the free encyclopedia) The Mini is a small car that was made by the British Motor Corporation (BMC) and its successors from 1959 until 2000. The original is considered a British icon of the 1960s, and its space-saving front-wheel-drive layout (that allowed 80% of the area of the car's floorpan to be used for passengers and luggage) influenced a generation of car-makers. The vehicle is in some ways considered the British equivalent to its German contemporary, the Volkswagen Beetle, which enjoyed similar popularity in North America. 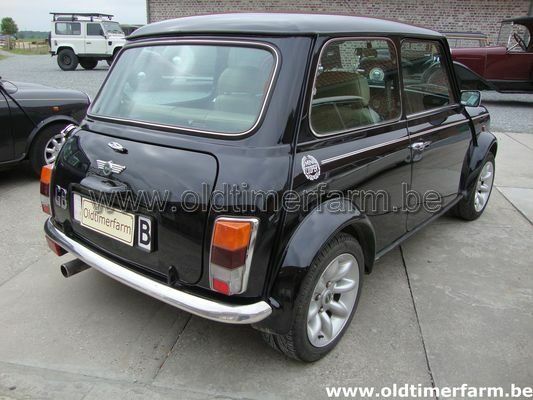 In 1999 the Mini was voted the second most influential car of the 20th Century, behind the Ford Model T.
The Mark III Mini had a modified bodyshell with enough alterations to see the factory code change from ADO15 to ADO20 (which it shared with the Clubman). The most obvious changes were larger doors with concealed hinges. Customer demand led to the sliding windows being replaced with winding windows—although some Australian-manufactured Mark I Minis had adopted this feature in 1965 (with opening quarterlight windows). The suspension reverted from Hydrolastic to rubber cones as a cost-saving measure. (The 1275 GT and Clubman would retain the hydrolastic system until June 1971 when they, too, switched to the rubber cone suspension of the original Minis. Specifications. Bodywork : length/width/height/wheelbase – cm (in) : 305/144/135/204 (120/57/80/54); weight : 695 kg (1531 lb). Engine : front 4-cylinders 1275 cc (77.8 ci), 4-speed manual, rear-wheel drive. Maximum power : 63 bhp @ 5700 rpm. Top speed : 148 km/h (92 mph).